Diabetic foot care is crucial, because of the risks of complications in your feet, as a diabetes patient. At the Foot Clinic, we have a particular expertise in foot health, and we can help you with the whole range of diabetic foot care. It ranges from a regular review and assessment, as recommended by Diabetes Australia, to providing you quality podiatry services for your skin and nail treatments, corns and calluses, ingrown toenails or the treatment of ulcers. We work together with your treating GP or your specialist Endocrinologist, to optimise your foot health and your quality of life. Diabetes affects your body’s ability to absorb glucose from your blood stream. In a healthy body, the glucose is used in tissue cells (including the tissue that forms the skin of your feet), to fight infections and heal in a natural way. With diabetes, the elevated glucose levels also affect the nerves in your feet and legs. You will have poor blood circulation in that area, and you will have reduced sensation. Small skin problems can become a bigger problem because your immune system doesn’t perform its normal role. And, on top of that, you often wouldn’t notice the problem because of reduced sensation. This is why diabetic foot care is important, and why it is recommended to see your podiatrist at The Foot Clinic regularly. There are several signs to be on the look out for when you have Diabetes and maintaining your foot health. Things like cuts, blisters and bruising are some problems to be aware of. As a predominate problem with Diabetes is poor blood circulation, the PowerPlate helps stimulate blood flow through its vibrating platform. 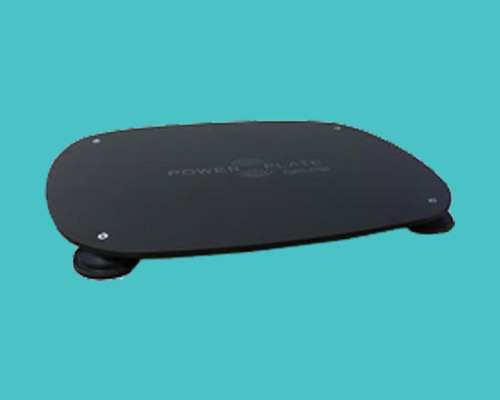 The PowerPlate is also used as a form of treatment for other conditions, such as balance problems. Diabetic foot care always starts with an in-depth diagnosis. We use a neurovascular assessment and diagnostic tests, to assess your sensation and circulation. Poor blood circulation in your feet is linked to diabetes, and may cause a range of skin problems. If not managed properly, those skin problems can cause complications, and it is important to get the right level of diabetic foot care, as well as maintain proper foot hygiene. The first signs of a diabetic foot problem may be very minimal. You may notice some dryness of the skin around your toes, or feel that your toes are tingling. More advanced symptoms include numbness of the sole, and if untreated, you will have been told that these conditions can lead to foot or leg amputation if advanced diabetes isn’t supported by well managed diabetic foot care. Skin and nail treatments are an essential aspect of diabetic foot care, because most problems will affect your skin and nails. This may include the treatment of corns and calluses, bunions or ulcers. Managing these superficial conditions is important, and your podiatrist will always focus on preventing further damage to nerves or tissue. At The Foot Clinic we have a particular expertise in assessing the overall biomechanics of the body. This includes assessing your walking pattern, to learn more about excessive pressure on some parts of your feet. Your diabetic foot care treatment programme might include the use of Naboso insoles, to stimulate your nerves. With poor circulation, stimulating your nerves is essential to avoid nerve damage in the future. To improve your biomechanics, we may also prescribe orthotics, or recommend customised footwear. Because the main problem with diabetes is poor blood circulation, we may include treatment at our clinic using the PowerPlate. This means we activate your blood circulation using a vibrating platform, and this activates your body’s natural reflexive response to vibrations. The scientifically-established benefits also include improved blood circulation, which improves your overall foot health. Another aspect of your treatment plan at The Foot Clinic may consist of customised exercises. We use the PhysiTrack app to provide you with well chosen exercises and stretches. This helps you take good care of your feet (and your overall health) in the comfort of your own home. The exercises help you with healthy blood circulation, better balance, and building and maintaining strength in your feet and lower limbs. 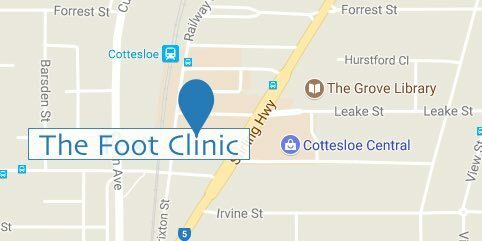 At The Foot Clinic, our mission is to help you manage your foot health and your diabetic foot care in the best possible way. At The Foot Clinic, we don’t just look at a single symptom; we look at the bigger picture of your personal history, your lifestyle, and the condition and use of your legs, knees, and feet. You will find that our team of experienced and friendly podiatrists is always available to answer your questions about diabetic foot care.